Let yourself be carried away ! Discover our exclusive designs, created from the cities that inspire us ! All you have to do is choose your destination ! Welcome to Pokhara, in Nepal, gateway to the highest peaks. Refocus and be in harmony with nature in this peaceful place. 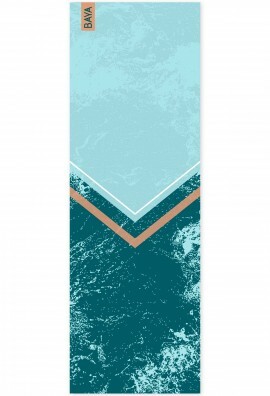 Explore your practice on this sleek and elegant design. Thick, lightweight and soft. 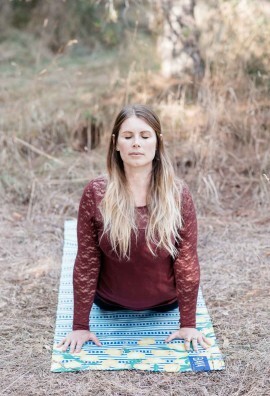 The perfect combination for slow and gentle practices, where you need support under your knees and hips while staying grounded. 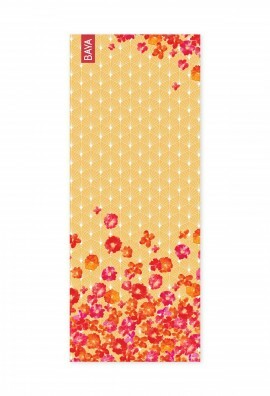 The Osaka Yoga mat : thick, light weighted and soft. The perfect combination for gentle practices, where you need support under your knees and hips. Our rubber pattern gives you extra grip so can stay grounded throughout every poses and don't slip. 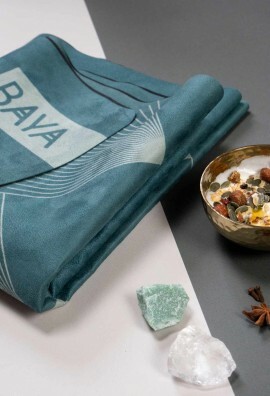 For this Minimalist Collection, escape to Osaka thanks to our design inspired by Japanese art! 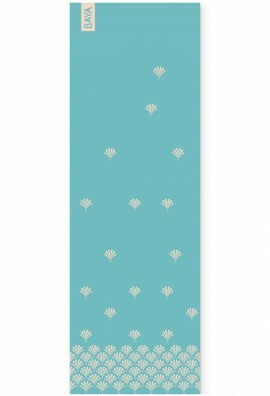 Brooklyn Yoga mat : thick, light weighted and soft. The perfect combination for gentle practices, where you need support under your knees and hips. Our rubber pattern gives you extra grip so can stay grounded throughout every poses and don't slip. For this Minimalist Collection, explore Brooklyn, its cafes, streets and timeless Art Deco style. 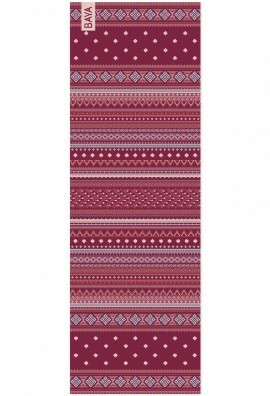 Shiraz yoga mat thick, light weighted and soft. The perfect combination for gentle practices, where you need support under your knees and hips. Our rubber pattern gives you extra grip so can stay grounded throughout every poses and don't slip. This pretty city will enchant you for a moment of romanticism in the blue lights of the oriental night. 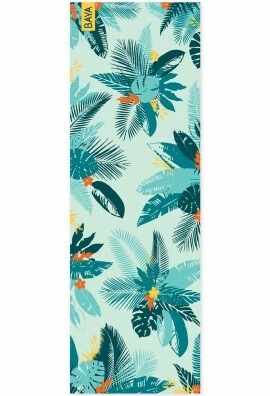 The Tulum Yoga mat : thick, light weighted and soft. The perfect combination for gentle practices, where you need support under your knees and hips. Our rubber pattern gives you extra grip so can stay grounded throughout every poses and don't slip. Immerse yourself in relaxing Tulum, Mexico. A place of rare beauty! 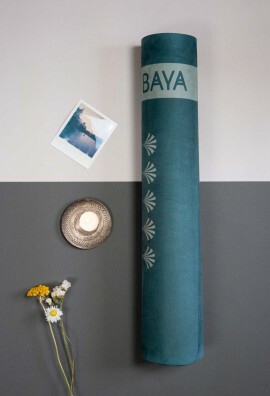 The Bombay Yoga mat : thick, light weighted and soft. The perfect combination for gentle practices, where you need support under your knees and hips. Our rubber pattern gives you extra grip so can stay grounded throughout every poses and don't slip. Let's go to Bombay, India. The cradle of yoga ! 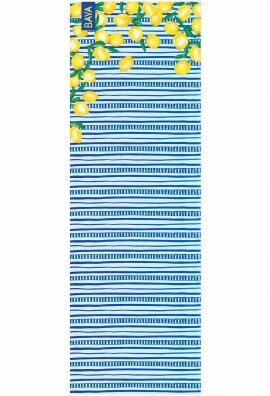 The Capri Yoga mat thick, light weighted and soft. The perfect combination for gentle practices, where you need support under your knees and hips. Our rubber pattern gives you extra grip so can stay grounded throughout every poses and don't slip. Let's go to Capri Island and its wonderful landscapes where time stops so peacefully ! 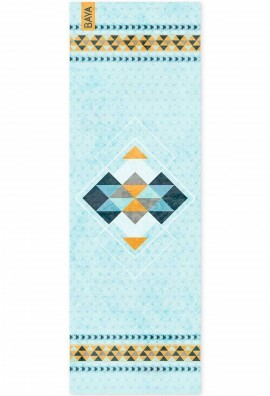 The Faro Yoga mat : thick, light weighted and soft. The perfect combination for soft practices, where you need support under your knees and hips. Our rubber pattern gives you extra grip so can stay grounded throughout every poses and don't slip. 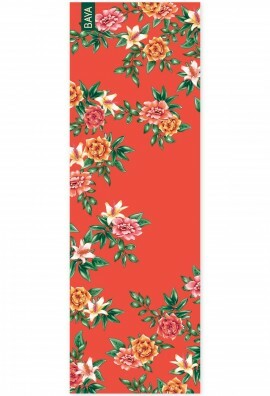 The Rio Yoga mat thick, light weighted and soft. The perfect combination for gentle practices, where you need support under your knees and hips. Our rubber pattern gives you extra grip so can stay grounded throughout every poses and don't slip. Immerse yourself in Rio de Janeiro for a tropical journey to the sound of samba ! The Yaoundé yoga mat thick, light weighted and soft. The perfect combination for gentle practices, where you need support under your knees and hips. Our rubber pattern gives you extra grip so can stay grounded throughout every poses and don't slip. Direction to Yaoundé, Cameroon, for a colourful and invigorating journey ! 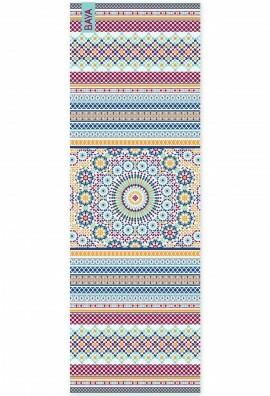 The Biarritz Yoga mat thick, light weighted and soft. The perfect combination for gentle practices, where you need support under your knees and hips. Our rubber pattern gives you extra grip so can stay grounded throughout every poses and don't slip. Immerse yourself in relaxing Biarritz, France. A place of rare beauty! 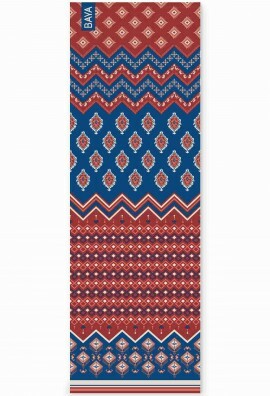 The Stockholm Yoga mat thick, light weighted and soft. The perfect combination for gentle practices, where you need support under your knees and hips. Our rubber pattern gives you extra grip so can stay grounded throughout every poses and don't slip. Let's go to Stockholm for a cosy rest time by the winter fire ! 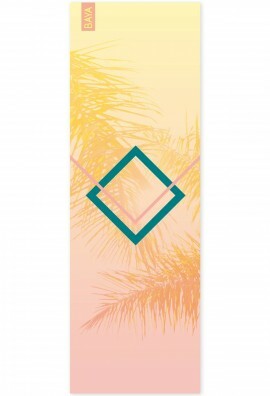 The Miami Yoga mat thick, light weighted and soft. The perfect combination for gentle practices, where you need support under your knees and hips. Our rubber pattern gives you extra grip so can stay grounded throughout every poses and don't slip. Let's go Florida for an energizing and sunny trip ! 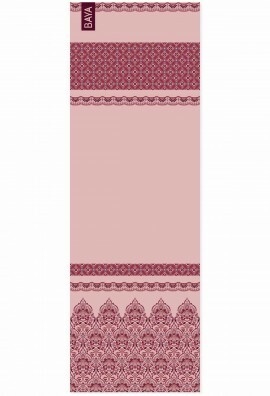 The Tangier Yoga mat thick, light weighted and soft. The perfect combination for gentle practices, where you need support under your knees and hips. Our rubber pattern gives you extra grip so can stay grounded throughout every poses and don't slip. Let's go to Tangier and its beautiful Arabian nights ! 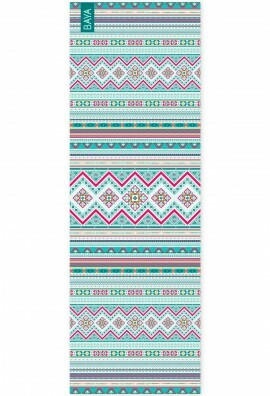 The Seville Yoga mat thick, light weighted and soft. The perfect combination for gentle practices, where you need support under your knees and hips. Our rubber pattern gives you extra grip so can stay grounded throughout every poses and don't slip. Let's go to Seville, Andalusia, for a flowery and warm moment to the sound of flamenco ! Adapted to intense practices. This includes but not limited to Vinyasa, Bikram and Fitness. 0.1" thick; 72" x 24"
Welcome to Pokhara, in Nepal, gateway to the highest peaks. Refocus and be in harmony with nature in this peaceful place. 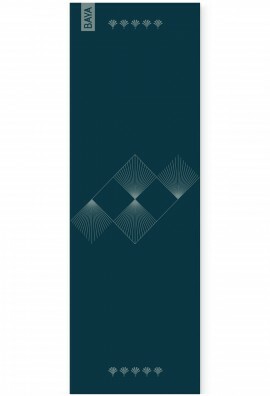 Explore your practice on this sleek and elegant design. Always stay grounded, stable and comfortable during your intense sweaty practices with this natural rubber and microfibre coated mat. Travel back to Woodstock in 1969. Festival of freedom, love and creativity. Iconic place and time to live a colourful and exhilarating life. 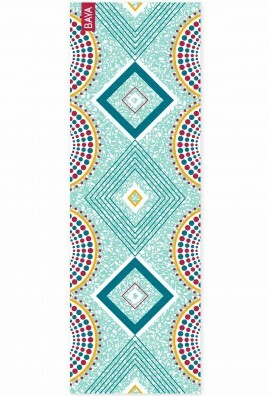 Express your creativity and practice freely on this colourful boho-chic design. Always stay grounded, stable and comfortable during your intense sweaty practices with this natural rubber and microfibre coated mat. 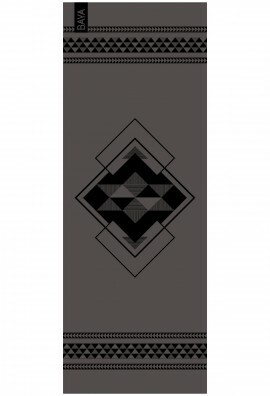 The Faro Yoga mat dense, flexible and offer excellent grip. Made of natural rubber with a micro-fibre coating, it is eco-friendly, comfortable and just perfect for intense and physical practices - the more you sweat, the more grip you'll get ! 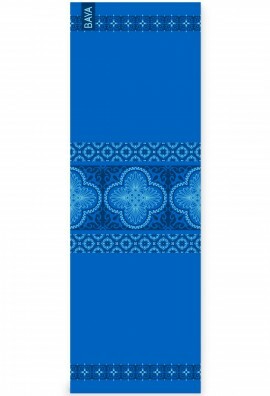 Design inspired by the typical azulejos of Portugal. The Stockholm dense, flexible and offer excellent grip. Made of natural rubber with a micro-fibre coating, it is eco-friendly, comfortable and just perfect for intense and physical practices - the more you sweat, the more grip you'll get! Let's go to Stockholm for a cosy rest time by the winter fire ! 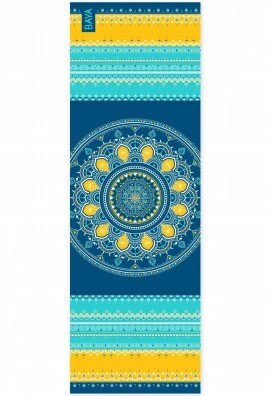 The Capri Yoga mat dense, flexible and offer excellent grip. Made of natural rubber with a micro-fibre coating, it is eco-friendly, comfortable and just perfect for intense and physical practices - the more you sweat, the more grip you'll get ! Let's go to the island of Capri and its wonderful landscapes where time stops peacefully ! 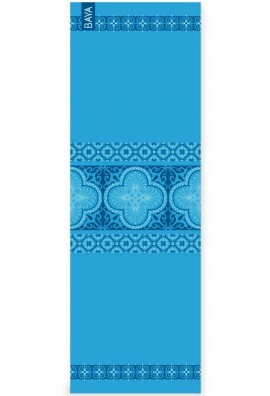 The Bombay Yoga mat dense, flexible and offer excellent grip. Made of natural rubber with a micro-fibre coating, it is eco-friendly, comfortable and just perfect for intense and physical practices - the more you sweat, the more grip you'll get ! Let's go to Mumbai, India, the cradle of yoga ! The Yaounde Yoga mat dense, flexible and offer excellent grip. Made of natural rubber with a micro-fibre coating, it is eco-friendly, comfortable and just perfect for intense and physical practices - the more you sweat, the more grip you'll get ! Let's go to Yaoundé, Cameroon for a colourful and refreshing trip ! 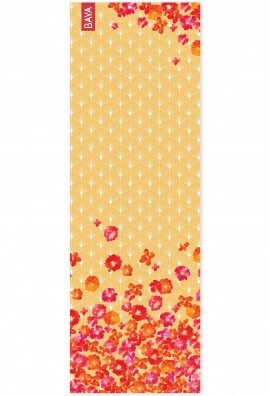 The Rio Yoga mat dense, flexible and offer excellent grip. Made of natural rubber with a micro-fibre coating, it is eco-friendly, comfortable and just perfect for intense and physical practices - the more you sweat, the more grip you'll get ! Let's go to Rio de Janeiro for a tropical trip to the sound of samba ! 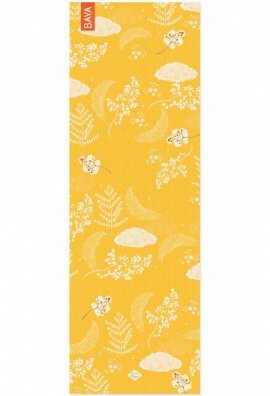 The Kyoto Yoga mat dense, flexible and offer excellent grip. Made of natural rubber with a micro-fibre coating, it is eco-friendly, comfortable and just perfect for intense and physical practices - the more you sweat, the more grip you'll get! Let's go to Kyoto, Japan to enjoy its calm and its pretty spring flowers! 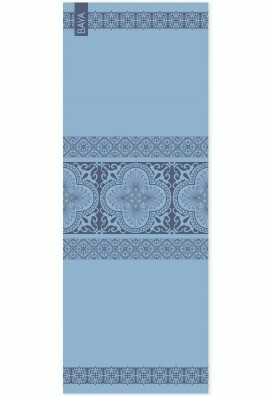 The Seville yoga mat Dense, flexible and offer excellent grip. Made of natural rubber with a micro-fibre coating, it is eco-friendly, comfortable and just perfect for intense and physical practices - the more you sweat, the more grip you'll get ! Let's go to Seville, Andalusia for a flowery and warm moment to the sound of flamenco ! 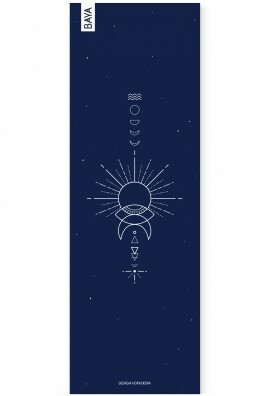 0.04" thick ; 72" x 24"
The Seville yoga mat is specially made for those who travel and commute, for those who want to carry their mats in their bags rather than on their backs, or even for those who want to overlay their mat on top of studio mats and bring some colour. Let's go to Seville in Andalusia for a warm and flowery moment to the sound of flamenco ! 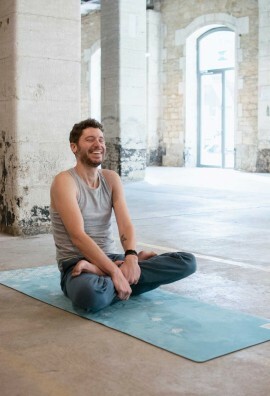 The Brooklyn yoga mat is specially made for those who travel and commute, for those who want to carry their mats in their bags rather than on their backs, or even for those who want to overlay their mat on top of studio mats and bring some colour. For this Minimalist Collection, explore Brooklyn, its cafes, streets and timeless Art Deco style. 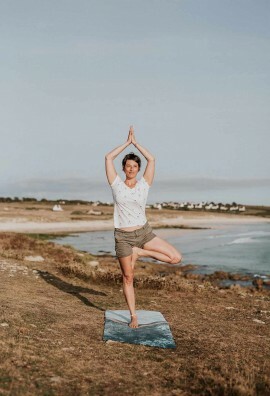 The Stockholm yoga mat is specially made for those who travel and commute, for those who want to carry their mats in their bags rather than on their backs, or even for those who want to overlay their mat on top of studio mats and bring some colour. Let's go to Stockholm for a cosy rest time by the winter fire ! 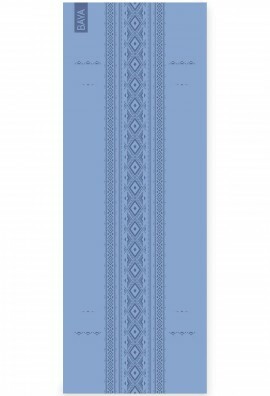 0.16" thick; 72" x 26"
The Stockholm Yoga mat, extra-durable and adaptative, designed for daily practices. Made of natural rubber with a polyurethane coating, it is eco-friendly, ultra-stable and offers superior grip. It will provide perfect support and protect your joints. Let's go to Stockholm for a cosy rest time by the winter fire !